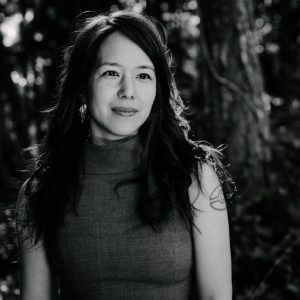 Natasha Kong is senior graphic design and communications specialist whose career began in 1994 when she co-founded Random Media Core, a creative new media house based in downtown Toronto, Canada. As the company’s Art/Creative Director, she developed websites and corporate identities for a variety of clients including TVGUIDE/Telemedia, Sega City/Playdium, Rogers Media and Absolut Vodka. From 1997-1999, she hosted and wrote a technology column on the Discovery Channel’s EXN-TV and @Discovery programs. In 1999 she co-founded Savvy, Inc. and after raising startup capital from a group of Canadian investors, launched Savvy’s first product SheNetworks, a young women’s magazine. In the fall of 2000, she re-established Savvy, Inc. as a creative consulting company providing services to organizations in Canada, the U.S and Europe. Most notably, STREETSPACE a kiosk company based out of Los Angeles, hired her to oversee their pilot rollout program at the Winter Olympic Games in Salt Lake City. Natasha’s is now focused on designing for nonprofit organizations and social mission businesses. Her vision, expertise and accomplishments have been highlighted in publications such as Canadian Business Magazine, The Globe and Mail, the National Post, and Wired Magazine. She has also been a guest panelist at numerous industry conferences, events, and post-secondary institutions. She is a former recipient of the Young Woman of the Year award from the Canadian New Media Awards for her continuing contribution to the new media industry.